Our memories, and the memories we share with others are a critical aspect of daily life. My research focuses on understanding how memory works and what factors influence what we remember. More specifically, I’m interested in understanding how our individual memories are influenced when we remember with other people. We frequently collaborate with others on memory tasks: friends and families reminisce together about past past events, students work together in the classroom, and older adults rely on each other to remember critical details. Of course, not all groups are equally successful when they collaborate. My research examines why collaboration disrupts individual memory in some settings and enhances individual memory in other settings (i.e. when individuals remember a greater amount of accurate information when working with a partner than when working alone). In 2013-2014, I received a Fulbright Fellowship to conduct research on social memory processes at the Department of Cognitive Science, Macquarie University in Sydney, Australia. Macquarie is an international leader in social memory research and hosts a unique community of scholars working on this topic. The opportunity to work directly with scholars at Macquarie University was invaluable and has been both professionally and personally transformative. While at Macquarie, I participated in a range of research related activities that included developing and implementing research experiments, planning and writing grant proposals, and learning strategies for career advancement and mentoring. Together with my Australian colleagues, we conducted experiments to identify underlying processes that predict collaborative disruption and success across laboratory and real world situations. One exciting application of our work was to examine the effects of collaboration on older adults’ memory in a variety of situations. Understanding the factors that differentiate successful from disruptive patterns of collaboration in older adults has important scientific implications and can lead to tangible benefits for older adults and their families. Additionally, my time at Macquarie established a long term international collaboration between myself at Montana State University and researchers at Macquarie University. Since the completion of my Fulbright, I have continued to collaborate with my Australian colleagues on numerous grant proposals and research publications, including an edited book on collaborative remembering (“Collaborative Remembering: Theories, Research, and Applications” published by Oxford University Press in 2018). Since my visit, we have sustained a steady exchange of students and faculty across universities, as two Montana State University students have enrolled in the Macquarie University PhD program, and multiple graduate students and faculty from Macquarie have visited Montana State for research visits. The sustained international collaboration has greatly impacted my professional development as I continue to learn new ideas, methodologies, and mentoring skills that I have been able to teach to my students and channel into new research projects. My Fulbright experience was also personally transformative. I was fortunate to spend an entire year in Sydney (I combined the senior scholar award with a sabbatical from Montana State) and my time in Australia impacted my life in meaningful and lasting ways. The opportunity to live in another country for a year fostered my sense of curiosity and also pushed me to be more self-reflective. 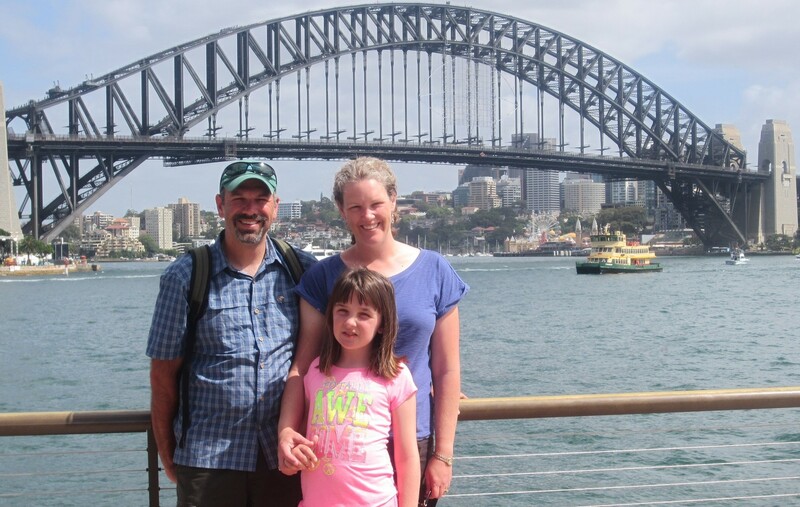 My husband and daughter accompanied me to Australia, and our family experiences deepened our connection to the culture. For example, my daughter spent a year in the Australian public school system which allowed us insight into the culture and society that extended beyond my experiences at the university. Sydney is a beautiful and cosmopolitan city and we all really enjoyed the change from our small hometown of Bozeman, Montana. We had an amazing time in the city, and also enjoyed travelling, exploring and learning together, and our time in Australia continues to influence our perspective. I am extremely grateful for my experiences as a Fulbright fellow, and my time in Australia was both professionally and personally transformative.